Support The Partners That Make Illinois Newsroom Reporting Possible! In depth, long form reporting has never been more important for our state. As our economy and culture shift, our residents need access to the highest quality information and to the voices of their fellow community members. Illinois Newsroom partner stations have committed a team of journalists to tackle trends in Illinois healthcare, education, politics, and the environment, and it’s a lot of work: hours of driving, researching, interviewing, writing, editing, and simply showing up to listen to and learn from community members across the state. If you believe in the power of knowledge and storytelling to lift your community, join us in our mission. Please support our partners, so that we can continue serving you. Illinois Public Media’s WILL-AM 580 offers a 24/7 alternative to quick-fix news through local and regional reporting and The 21st, the talk show produced by us and hosted by Niala Boodhoo with news, culture, and stories that matter to Illinois. AM 580 offers all this plus agricultural news and coverage from NPR and the BBC. Illinois Public Media is a service of the College of Media at the University of Illinois, educating, entertaining, inspiring and empowering by airing the best of public television and radio programs, producing local content for broadcast and the Web, and working with community partners to address needs and concerns. 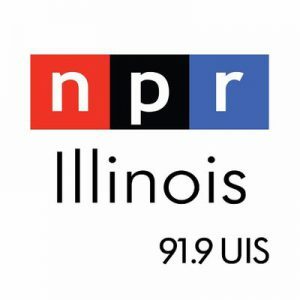 NPR Illinois is able to collaborate on initiatives like this thanks to your donations. Our programs and storytelling reflect the quality of life across Illinois in context with the nation and the world, and support informed conversation as we work together to find solutions. WVIK, Quad Cities NPR, provides news and classical music 24-hours-a-day to the Quad Cities and surrounding communities in northwestern Illinois and eastern Iowa. WVIK is a public service of Augustana College in Rock Island, Illinois. Our signal is broadcast at 90.3 FM in the Quad Cities area, at 95.9 FM in Dubuque, Iowa, and around the globe at WVIK.org and through the WVIK app. WSIU Public Broadcasting is licensed to the Board of Trustees of Southern Illinois University and is an integral part of the College of Mass Communication & Media Arts on the Carbondale campus. The WSIU stations reach more than five million people across six states through a website, an education and community outreach department, five digital public television channels (WSIU, WUSI, WSEC, WMEC, and WQEC), and three public radio stations – 91.9 FM in Carbondale, WUSI 90.3 FM in Olney, and WVSI 88.9 FM in Mt.Vernon. WSIU also operates the Southern Illinois Radio Information Service (SIRIS), a radio reading service for individuals who are blind or visually-impaired. Tri States Public Radio is an outreach service of the College of Fine Arts and Communication at Western Illinois University. Serving all or parts of 20 counties in west-central Illinois, southeast Iowa and northeast Missouri, TSPR is the region’s voice for award-winning local and NPR news and entertainment as well as diverse locally and nationally produced music programming including classical, folk, and jazz. From humble beginnings in 1956 as a student-run laboratory in Western Illinois University’s Tillman Hall, TSPR has become the region’s National Public Radio member station broadcasting quality programs that inform, enlighten and entertain. On the dail at Macomb 91.3fm – Galesburg 90.7fm – Keokuk 89.5fm – Burlington 106.3fm and on the web at www.TSPR.org. The Midwest Center for Investigative Reporting is an independent, nonprofit newsroom that covers agribusiness and related topics such as government, environment and energy through both original and curated content. With more than 40 media partners, our stories are shared in local communities and throughout the nation. Visit us online to see original investigations and use our database tools to see how agribusiness impacts your area. Your tax-deductible donation goes a long way to help us report and produce in-depth stories. Give today! WTVP’s mission is to create and broadcast content that educates, informs and inspires everyone throughout central Illinois. To do this, WTVP offers programming that expands the minds of children, documentaries that open up new worlds, news programs that keep citizens informed on world events and cultures, and programs that bring the worlds of music, theater, dance, and art to your living room, all free of commercial interruption and influence. 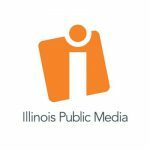 Public media in central Illinois has a long history of high-quality content and occupies a unique position in the media marketplace. WTVP is among the few remaining locally owned media outlets in the region, and during this past year, the staff has demonstrated our commitment to the region with many outstanding, award-winning local programs and community services. We are honored to be trusted and valued local institutions.